Why do businesses choose Blue NRG? We work hard to make sure your business gets the best energy rates. 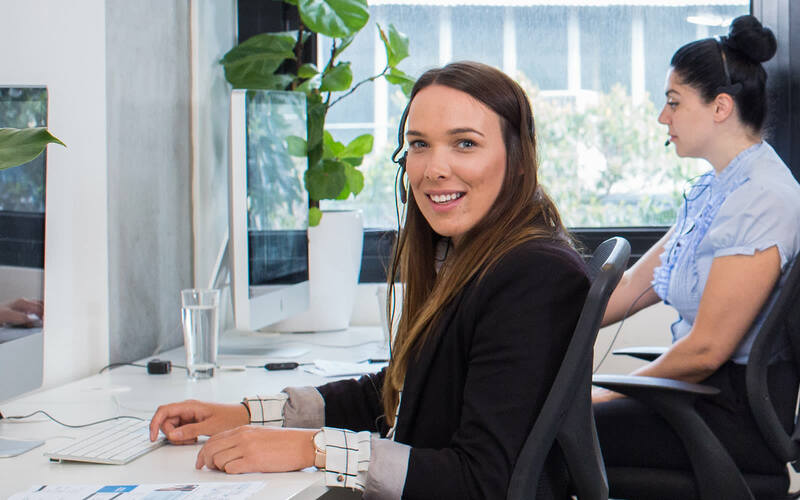 Our friendly Melbourne team is here to take your calls. We’re experts in helping businesses with their energy needs. Use our ‘My Account’ platform to monitor and reduce your energy usage. We know what it’s like to manage cash flow, to juggle bills, to be bombarded with ‘special offers’, to receive poor customer service, and to be frustrated when service providers don’t deliver on their promise. That’s why we strive to provide excellent customer service and account management features that customers really want. You won’t see us on television. We don’t run expensive marketing campaigns with special offers that disguise hidden fees. We keep it simple and always offer our best rates – what you see is what you get. If you want to deal with a business partner, who understands electricity, but also understands what it’s like to be a SME, then BlueNRG is the choice for your business. That’s what makes us different. You’ll find that we have an excellent understanding of your business, because we have worked with thousands of business owners just like you. We have helped them reduce their energy costs and you can join them. Businesses of all kinds are making the switch to Blue NRG – Join them! Having to call your energy supplier shouldn’t be frustrating. If you want a call centre based here in Australia, we deliver. Our friendly team are committed to understanding your business, listening to what you have to say and helping you reduce costs. You can request to speak to your favourite customer service rep. Maybe you spoke to Joanna last time, so you want to speak to her again, rather than explain the situation to someone new. Simply ask for your favourite customer service team member, and if they’re available, we’ll put you right through. You don’t get that from a lot of electricity suppliers. We are constantly striving to provide the very best. What that means to you is great prices, excellent service, and help reducing energy costs.